Your chances of success increase exponentially when project plans are strong and robust. Orlean Technical Solutions delivers an intense workshop-based contingency planning methodology — using proprietary software RiskManager, which yields stronger, more resilient plans for your projects. 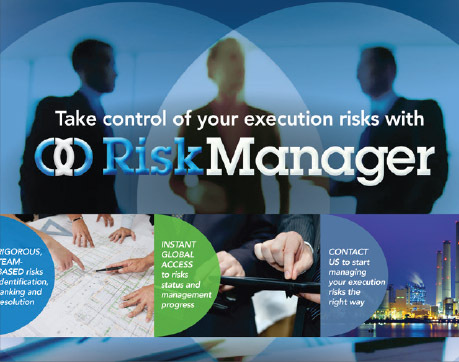 Then use RiskManager to update and monitor progress on your risk mitigation steps as your project moves ahead. Upon completion, your team will have a more thorough understanding of plan details, a stronger sense of project vulnerabilities and ways to react when the inevitable upsets occur. Use your project’s RiskManager dashboard for managing and monitoring your progress toward risk reduction. See and update your risk status at a glance on any web-enabled device, any time, anywhere. Now you’re managing your risks!